Perfect for teenagers or recreation room enthusiasts. 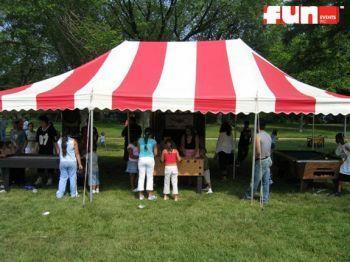 Consists of a One On One Basketball Game, Foosball Table, Dome Hockey, Ping-Pong Table, and Air-Hockey Game. If set-up outdoors the ultimate game room comes complete with 20 X 30 tent for your company picnic, church festival, or other special event.